2017 featured a wealth of films from Disney that ran the gauntlet from family drama to superheroes and musicals to flights of fantasy. The films offered a lot to get excited about, across a broad range of viewer tastes, at the top of the box office, while only a few truly struggled to get traction with audiences. Picking a top three Disney films, much less a top film, of the year is a daunting enterprise, but throwing caution to the wind, here we go! Dating back to the days of Walt Disney’s True Life Adventures the idea of utilizing footage of animals and their families to craft a compelling narrative has captivated hearts and minds of the viewing public. When Disneynature brought the concept back in 2007 with Earth those of us who grew up on VHS tapes of The Vanishing Prairie, The Living Desert, and Seal Island dreamed of what could be for the further of the series. There have been high and low points over the past decade, and even a slight pause in Disneynature’s annual release, but Born in China brought us one of their best to date. The cinematography of Born in China alone is worth the price of a ticket or a picking up a copy of it for your home cinema. 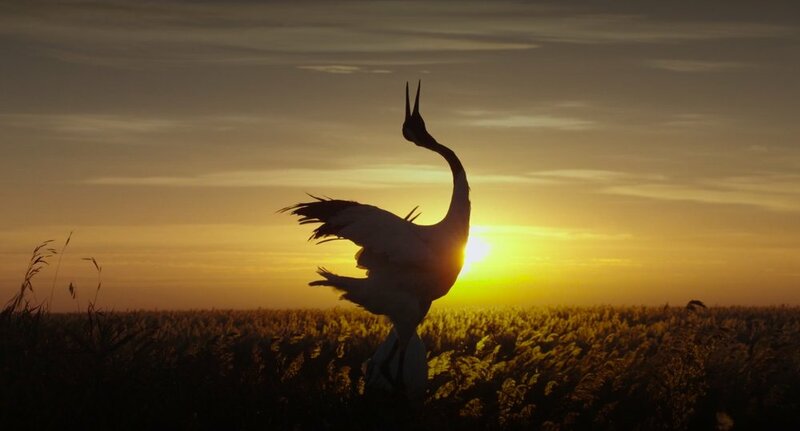 There are corners of China we’ve never seen captured on film in this feature as we follow red crowned cranes, chiru (antelope), pandas, golden snub-nosed monkeys, and snow leopards through more than a year in each of their lives. Director Chaun Lu deftly moves between each story, finding parallels and stark contrasts between each family group, as he builds a stirring portrait of parents and children, life and death. Meanwhile, John Krasinski’s narration does an excellent job of relaying these themes with humor and humanity. Born in China had a short theatrical release and very little marketing for its home release, but knowing the material they had on hand didn’t stop Disneynature from creating two separate secondary and behind the scene releases, Ghosts of the Mountain and Expedition China. Overall, Born in China is a fantastic entry into the Disney’s catalog of nature documentaries. For only the second time in Pixar’s history, 2017 featured two releases from the studio: Cars 3 and Coco. Both take leaps in terms of what digital animation could do. One was a love letter to Paul Newman and downtrodden racetracks in the southeast. The other brought audiences to a world of family, memories, and music that most of us aren’t familiar with, but that resonates with us so clearly. I’m not sure what I can say about Coco that hasn’t already been stated, but this is a fantastic family film. The film wasn’t dubbed into Spanish, but rather featured a Mexican edition. It utilized music as not only a storytelling device, but placed it at the heart of our characters’ conflict. The production brought in many animators and designers of Mexican heritage to ensure that the story, cultural representations, and settings were authentic. The depth of field and layers upon layers of world building that occurred on the screen were breathtaking in their beauty, imagination, and faithfulness. The portrayal of an aging family member with a memory affliction and the ability to hold a grudge through generations were familiar to many viewers. Yet, every emotion audiences feel in Coco feels genuine and not the concoction of Lee Unkrich and Adrian Molina designed to hold us emotionally hostage. Coco is a masterpiece with only a few brush strokes that seem out of place, and even those are only visible if you are truly trying to dig out a flaw. Not only does this film speak to families with a story many of us can relate to, but it also elevates the beauty and culture of Mexico in a way we haven’t seen on screen in a very long time, and never in a Disney feature. No Star Wars film is without its critics and detractors. Each is designed with the knowledge that no one is ever going to agree on what should happen in a galaxy far, far away, and that the massive expanse is wide for all of our ideas and fan fictions, but at the end of the day there is a single story that the creators are trying to tell. For me, personally, The Last Jedi gave me chills in just the right way. It was nothing that I expected, which we were told time and again throughout the film that we should expect the unexpected, and everything that I wanted. 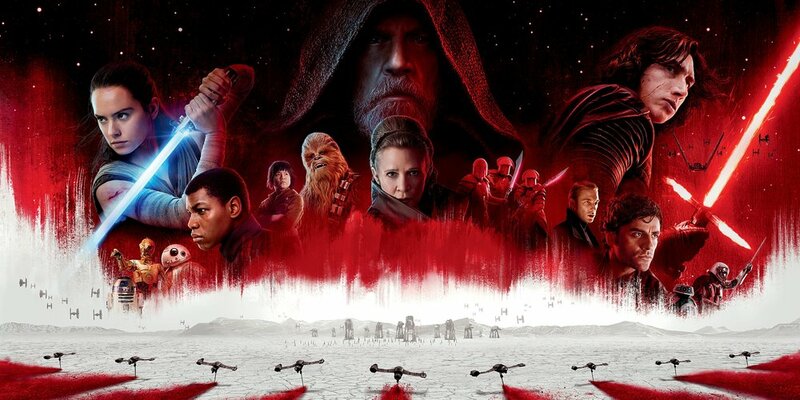 Arguably, it features one of the greatest explosions in the history of Star Wars, cleans up some very one-note characters, and does something no one expected: changes what we all believed was the foregone conclusion we’ve been racing towards for over forty years. I don’t want to spoil this film for anyone who hasn’t seen it yet, but as I told a dear friend after seeing it for the first time, The Last Jedi was a rich story that broke the mold, gave the audience new characters and ideas to consider, let many characters grow in a more natural progression than we’ve previously seen, and developed an entirely different perspective on a mythology than any we’ve seen before. The Force is strong with this one, and it was definitely the most incredible Disney entry of the year in my book.